Rapid advances in cancer science have increased the number of new oncology drugs being developed, but delays in regulation and approvals mean patients in Europe often wait years to be able to access them, researchers said on Tuesday. A report led by Britain's Institute for Cancer Research (ICR) found the average time from the start of a drug's early stage, or Phase I, clinical trials to a marketing licence being granted by European Medicines Agency (EMA) regulators grew to 9.1 years in 2009 to 2016, from 7.8 years in 2000 to 2008. It also found big differences in rates of development of new cancer drugs for various types of the disease: 15 drugs for breast cancer were licensed in Europe from 2000 to 2016, but none at all for brain tumours. The findings paint "a vivid picture" of the state of cancer drug discovery, development, licensing and appraisal, said Paul Workman, a professor and chief executive of ICR, who co-led the research and presented it at a briefing in London. "It's great news that the incredible scientific advances we have seen over the last decade are fuelling an increase in the rate of drug discovery and development. But it's clear we need to do so much more to get innovative new treatments to patients," Workman said. He added that blame could not be pinned to any one stage -from pharma research and development, through clinical trials, through regulation and approval, but said "red tape and bureaucracy" was holding things up throughout the process. With huge progress in cancer genetics and understanding the disease, cancer drug development and access should be getting faster, the ICR researchers said - partly because targeted treatments can be approved on data from smaller, smarter trials of patients selected for the genetics of their cancer. 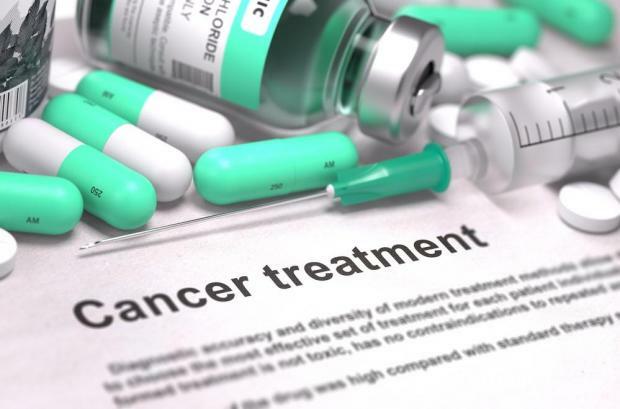 The report - entitled "From Patent to Patient" - found that in total, EMA regulators approved 97 cancer drugs for 177 indications between 2000 and 2016. Within that, the annual average rate of approvals almost doubled, to 14.6 a year in 2009-2016 from 7.5 drug indications a year in 2000-2008. But the report, which focused mainly on analysing access to cancer drugs in Britain, also found the average time from when a cancer drug is patented to when it is approved for patients in the UK National Health Service (NHS) increased to 14.1 years in 2009-2016 from 12.7 years in 2000-2008. For children and patients with harder-to-treat cancers, there were few if any new drugs. From 2000 to 2016, no drugs were approved for brain, oesophageal, bladder or womb cancer, and only one for liver cancer, the report said. And only 10 of the 177 EMA drug authorisations included indications for treating children with cancer.